Moe was looking for something sweet the other night. So, I made him a batch of fudge. I had some buttermilk in the fridge that I wanted to use up. 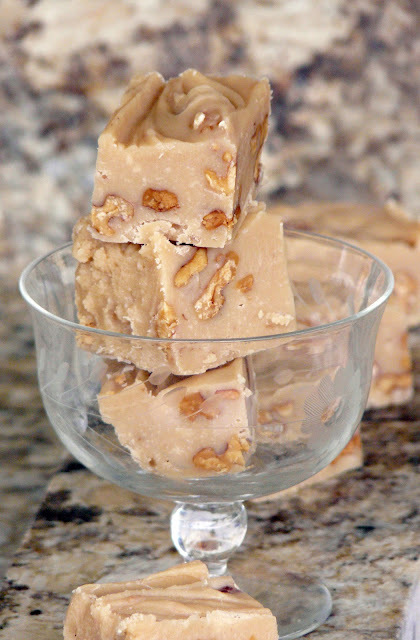 I made my Maple Cream Fudge using the buttermilk instead of heavy cream. The fudge had the same creamy smooth texture, but with a slightly tangy flavour. Since the fudge had to set, he got the wooden spoon and the pot to lick out. I would be right there licking the spoon!!! Mdubie, thank you for your comment. I've timed the process on more than one occasion. And seven minutes, after the mixture comes to a boil works for me. 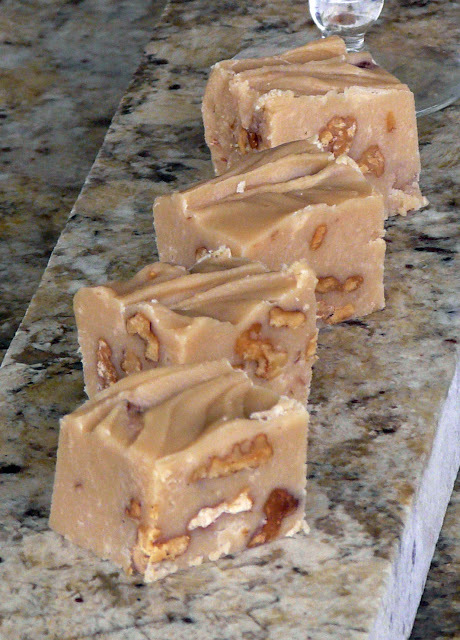 But, making fudge does require some adjustments, depending on ingredients, weather and altitude. You can't go on time alone.